Thread: Arnold Schwarzenegger official updates and Rare Pics! 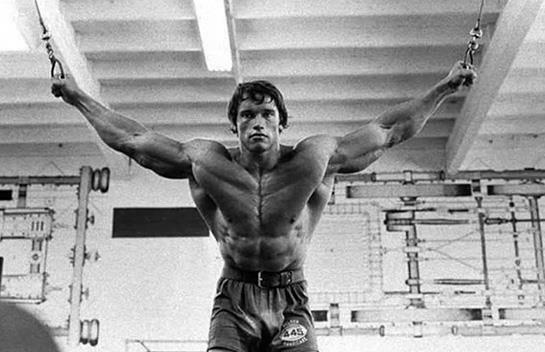 musclemecca.com now has one of the largest collections of Arnold Schwarzenegger pics online! 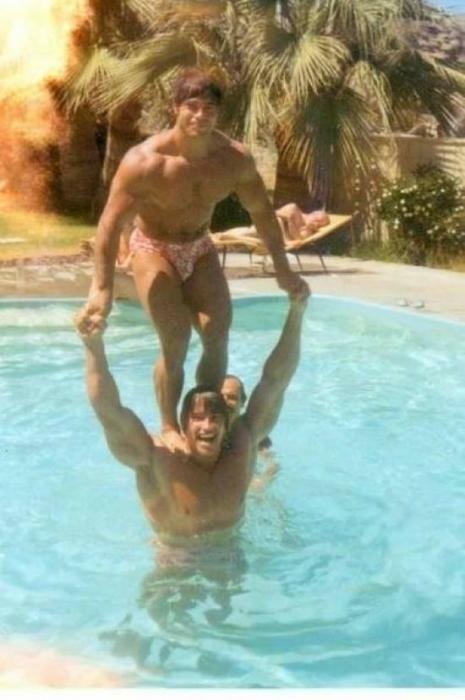 We have new pics and very old and rare Arnold Schwarzenegger pics! If you have any Arnold updates , or pictures feel free to add them here. Arnold Schwarzenegger has been in South Indian city of Chennai recently and has attended the launch event for the soundtrack of an upcoming South Indian film made by Oscar-winning composer A. R. Rahman ("Slumdog Millionaire"). he was seen on stage with the film's cast, actor Vikram along with British actress Amy Jackson. 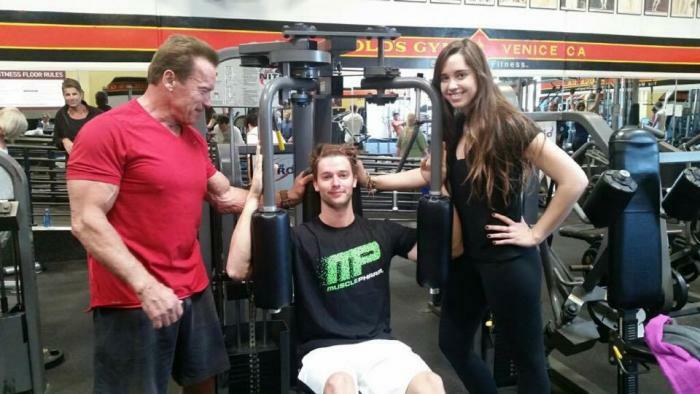 Arnold is believed to be promoting the movie because the main character is also a bodybuilder. Watch the Macho, Arnold Schwarzenegger, shares a special message with his fans in India. The Terminator visits Chennai to be a part of the grand audio launch of A. R. Rahman's Magnum Musical, Vikram starrer 'I' by Ace Director Shankar. 15th September, Dont Miss It. Arnold has mentioned that he will be doing another Terminator called Terminator Genisys! It is being directed by Alan Taylor and written by Laeta Kalogridis and Patrick Lussier. It will be fifth installment in the Terminator series and is supposed to launch in July of 2015! Arnold Schwarzenegger and Lou Ferrigno! 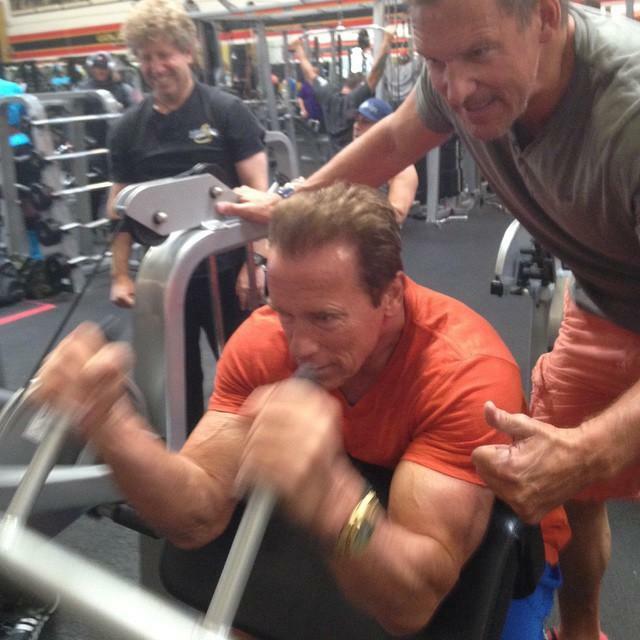 Arnold Schwarzenegger Seminar 2013 Arnold Classic! Last edited by KaiGold; 09-28-2018 at 10:30 AM. Kicked off my Saturday with a 10 mile bike ride to Gold's Venice and 45 minutes with the iron. How are you starting your weekend strong? Last edited by TalkAdmin; 02-15-2018 at 08:37 AM. Saturday is rest day for me. I work out 5 days a week. All I did for Saturday morning is ride a stationary bike. Re: Arnold Schwarzenegger - official updates! Last edited by TalkAdmin; 02-15-2018 at 08:38 AM. In that picture the real sick thing is the bloody acreage his pecs span _ only Ronnie had a "pec-span" anywhere near his AND THATS SAYING SOMETHING! Yeah, I love that picture! One of my all time favorites of Arnold! Last edited by TalkAdmin; 12-28-2017 at 11:20 PM. Last edited by TalkAdmin; 12-28-2017 at 11:19 PM. OMG I can't wait to see this! i have watched every terminator and every Arnold Schwarzenegger movie! Here is Arnold Schwarzenegger as a T-800 in the upcoming Terminator movie! Here is a video of behind the scenes when they were making the new Arnold Schwarzenegger, Terminator Genisys 2015 movie! Last edited by TalkAdmin; 12-28-2017 at 11:21 PM. I will obviously watch it but even the trailer looks lame _ and usually the trailers have the best bits! I still believe Christian B's Terminator was deserved a lot more than what it got _ I really liked it! This one looks like a TV production! Last edited by TalkAdmin; 12-28-2017 at 11:22 PM.